Periyava Discourses consolidated – Shankara! Blog on all Shankaracharyas of Kanchi, Sringeri, Puri, Dwaraka, Badrinath and other Spiritual Giants of India! Consolidated His many discourses conveniently in one place here. Have tried to provide keywords, context contained in each audio so that we can go directly to the links we are interested in. Will update this as and when new content is available. Moosu vandarai poygayum ponradhee Eesan endhai inayadi neezhalee. The shelter under the parallel feet of the God, my boss, is like the nice melody of Veena (Musical Instrument), the early evening moon, pleasant breeze, the Spring, a pond where bees are in making sound. Ittam shitam pabhutam, tava kanakasabha natha sodum kvashaktihi citte nirvida tapte, yadi bhavati na te nitya vaso madlyE. Difficulties in life and how to deal with them. bhaktya–by pure devotional service; mam–Me; abhijanati–one can know; yavan–as much as; yah ca asmi–as I am; tattvatah–in truth; tatah–thereafter; mam–Me; tattvatah–by truth; jnatva–knowing; visate–enters; tat-anantaram–thereafter. to be known as the Truth. The currency of Dharma is the only one we can take with us when we go to the other world. Never complain about our diffculties for we do not know the sins we have committed in this and the previous lives. Just pray to Ambal by surrendering to Her. 30) Basic Education for the young and the old! He also speaks about Vedas, Upanayanam, Marriages here. Thanks to ton to Subbu for this audio on Bhagavan Nama importance and Kamakshi Kataksham. Great work . . . may HE shower HIS blessings on you to do lot of such socio-religious works. HARA HARA SHANKARA JAYA JAYA SHANKARA. Really amazing to have it as one package. Hats off to you for the magnificent task which you have been doing for us. 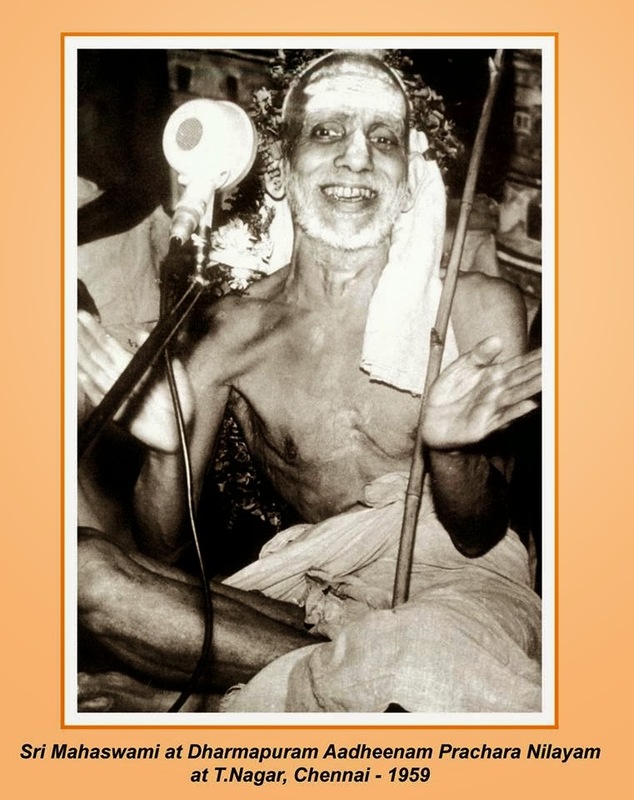 Superb service in the cause of Maha Periyava! May His Blessings be always with you and spur you for more and more such Divine service! Jaya Jaya Shankara, Hara Hara Shankara! Thanks a ton for your warm wishes! You have done a great service to Bhaktas! Thanks a million!! Jaya Jaya Sankara Hara Hara Sankara! Thanks a bunch for your kind words Shri Subramanian! Nameskaram, Thanks a million for the consolidation Sri Paracharya discourse Audio n Video to Periyava devotees. Like bring your attention that few of the links eg 10,11,12,13,014,15 and 37; are not available to listen / view. Any opportunity to revive these links. Hara Hara Sankara, Jaya Jaya Sankara. Enter your email address in the box below to follow this blog and receive instant notifications of new posts by email. Lotus Feet of Kanchi Mahaperiyava!